The new 4K Joey will provide customers with the highest picture quality in home television. The slim design of the new receiver makes it easy to hide behind the television or into a cabinet. But since it’s so clean and good looking, customers won’t have a problem putting it on display. Either way, no one needs to worry about having enough space to store DISH's new 4K receiver. As 4K UHD resolution is arriving for the consumer, DISH is there to meet the needs with the 4K Joey. It features H.265/HEVC enhanced compression decoding to support 4Kp60 10-bit video format (excluding graphics), in addition to MPEG-4 and MPEG-2. It also uses MoCA 2.0 and 1.1 technology to connect to the Home Video Network for satellite programming and DVR services via a Hopper® or Hopper with Sling®. What does all that mean? The new receiver from DISH will provide the very best picture to every end user. Plus, connecting to the new receiver is a breeze with Bluetooth. The devise is the first Joey to come with native Bluetooth support allowing the customers to connect with home entertainment devises wirelessly. It’s another excellent way to reduce the wires in your home! What Does RS&I Have to Do with DISH and their New Receiver? That’s a great question. RS&I is a master distributor for DISH and we have the ability get you set up as an Authorized DISH Retailer. With eight offices and warehouses in the western U.S., we bring you the proximity and support for your equipment, sales and training needs. You’ll have a dedicated RS&I sales representative to help you get started and, in most cases, you’ll be able to pick up your equipment right at one of our locations near you! As DISH's new 4K receiver rolls out to the general population, RS&I will be prepared to meet your needs as customers begin to request the new receiver from DISH. We will be fully stocked and ready to provide the best support and best customer service possible. You can count on us to meet the everyday demands of your customers. To add some additional savings and a hassle-free experience, they can choose from a free year of Netflix or RedZone from the NFL Network with Multi-Sport Pack! If you’ve been looking at becoming a DISH Authorized Retailer, now’s the time to get started. DISH continues to stay on top of the industry with their technology, customer service and value. 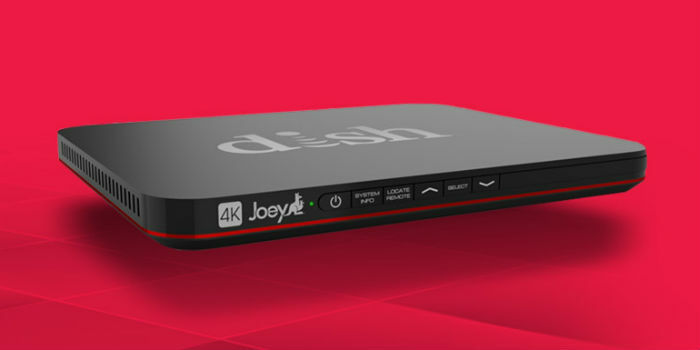 The new 4K Joey and the 2-Year Price Lock are proof that DISH cares about the daily experiences of each and every customer. With DISH and RS&I, you’ll have a solid business opportunity to last a lifetime. If needed, go ahead and look around our website to learn more. When you’re ready, fill out our "Contact Us" form and we’ll get you in touch with your local RS&I sales representative as soon as possible. We have also created a business plan template. If you'd like to start getting your thoughts together or if you'd just like to put everything down on paper, go ahead and download it for your records. At RS&I, we hope to help you get started with a DISH business soon!